The over-stylization and attention to the same kind of extreme nourish visual details and design of big brother Ridley's Blade Runner, is immediately apparent in the opening scene which cuts three different scenes together in montage. The scene which plays without sound and marred by some strangely abrupt and hokey editing is both incoherent and magical in its experimental form. The opening scene establishes the characters of Miriam (Deneuve) and John (Bowie) a couple who stalk another couple at a Bauhaus concert. Once at home, their deception reveals itself as a feast of Miriam and John, both vampires quenching their thirst for blood. At the same, we watch Susan Sarandon playing Doctor Sarah Roberts conducting strange aging experiments on a laboratory monkey. The first half of the picture plays out the last days of Bowie’s character. When hungry, the vampires in this story age in rapidity, and for Bowie, who after a century of life now finds pause in fulfilling his appetite. Being aware of the study of Sarandon’s character on aging might John find a cure to his ailment? The film’s most haunting scene features Bowie who approaches and attempts to confess to Dr. Sarah his own ailment, but is blown off as a nut. Scott stunningly intercuts Sarah’s hospital experiments with Bowie rapid aging over the course of the day who patiently waits outside her office. It’s arguably the most emotional scene of Scott’s career, one which resounds even more due to Bowie’s recent death. The second half plays out the relationship of Miriam and Sarah. After John dies from the incapacitation of age, Miriam seeks out a new partner. Miriam gives into the coy attraction with Dr. Sarah, an affair consummated with one of the more famous set pieces in the film, a lengthy love scene between Deneuve and Sarandon, shot with the kind of sensual flare which would become a hallmark of Scott’s career. The second half of the film doesn’t match the haunting and tragic power of the scenes with David Bowie. The third act seems forced to resolve itself with an unsatisfying and arbitrary action scene, albeit intense and eye popping. It would be hard to find a more stunning film made at that in terms of pure cinematography and lighting. If the 1980’s were a dead zone decade of cinema, I'd argue the decade as being the unrivaled peak of colour cinematography. It seems as if colour film had finally matured and caught up to the richness and textures of B&W film in its heyday. 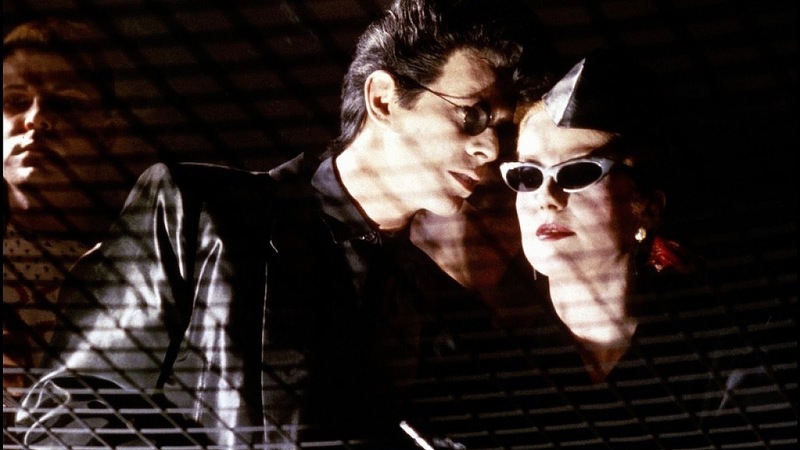 And few films of the decade reached the level of visual splendor achieved by The Hunger.